The United States of America sent its young men to Europe to fight for something they were told was called “freedom”. To help protect our allies Great Britain, France, The Netherlands and Belgium against the evil of the Central Powers; Germany, the Austrian-Hungarian Empire, Italy, the Ottoman Empire and Bulgaria. What happened? After more than four years of bitter fighting, eight and a half million soldiers had been killed; and millions wounded and maimed forever, including more than 100,000 Americans, and seven million civilians were dead. Europe was a smoldering shattered ruin. Old empires were gone forever and the dead-eyed refugees by the melancholy millions wondered without hope along bomb cratered roads across the continent. Pestilence and starvation would stalk men, women and children for years to come. The war to end all wars was over. Getting the boys back on the farm after they had seen Paris was the least of our problems at that time! The epic photographs taken in locations like the Place de la Concorde in Paris, the Admiralty Arch near Trafalgar Square in London and in the crowded streets of New York City clearly illustrate the relief and delirious joy of World War One ending. World War begat World War Two, The Korean War, The Vietnam War, The Cold War Era global conflicts, The wars in the Congo and wars of unspeakable genocide throughout the rest of Africa, the Israeli – Arab Wars (Israel’s War Of Independence 1948–1949 , the Six Day War in 1967 and the Yom Kippur War in 1973), the Suez Crisis, The Angolan-Cuban-South African War, continual large and small South American civil wars, The Falklands War, The Gulf War, The Balkan War, The Iraq and Iran Wars, and the War in Afghanistan. It seems that we have learned very little from the stark lessons of the war to end all wars. Countless millions have died or irrevocably maimed in these wars. Mao Zedong (a Chinese communist revolutionary who became the founding father of the People’s Republic of China) said “Politics is war without bloodshed while war is politics with bloodshed” Obviously the politicians around the globe are downright stupid and have bloated egos … they certainly have not prevented too many wars! Several other thoughtful people have come to similar conclusions; “The supreme art of war is to subdue the enemy without fighting” Sun Tzu (a Chinese general, military strategist, writer, and philosopher) and “The best way to solve problems and to fight against war is through dialogue” Malala Yousafzai (a Pakistani activist for female education and the youngest Nobel Prize laureate). “Where have all the young men gone? Excerpt from “Where Have All the Flowers Gone” by Pete Seeger. I do not have the answer … I really hope someone finds the answer soon. This entry was posted in Uncategorized on November 17, 2018 by David Wesley Tonkin. My name is David Wesley Tonkin and I wrote this message. Increasing numbers of people in our country seem to embrace racial hatred and intolerance. America is more permissive of blatant racism than at any time since the struggle for civil rights between 1954 and 1968. Bigotry rarely exists in an isolated remoteness; it is accompanied by specifically loathsome anti-Semitism, despicable anti-black, anti-Latino racism and dreadful anti-Muslim prejudice. The current politicians who verbally espouse, champion and embrace these manifestations of bigotry will eventually leave office; however the real harm to our society that they have purposefully perpetrated cannot simply be disengaged or auto-magically vanish. If left to grow unchecked and not formidably denounced our country will continue to lose headway. We the people desperately need leadership with the will to unequivocally turn this around and labor long and hard to remove these evils. We cannot wait a moment longer! I started to think about it; what is actually leadership; or specifically political leadership? The dictionaries all have precise and bland colorless descriptions; they do not seem to be enough. What I decided to do was examine what intellectually powerful people and recognized thought leaders had to say on the topic. In today’s “climate” I think this definition is profoundly necessary … “Leadership is a privilege to better the lives of others. It is not an opportunity to satisfy personal greed” Mwai KibakiI (Kenyan politician and President who successfully championed a style of publicity adversity with highly intelligent, predictable and competent technocratic leadership). Is it just me, or are there very few of the “better the lives of others” types around in our political cadre!? Another sobering opinion is this one … “The employer generally gets the employees he deserves” J. Paul Getty (British American petrol-industrialist, and the patriarch of the Getty family). The implication of these words is recognizable and starkly demonstrated today by so many of our politicians. Finally there is this simple, powerful warning …“It is absurd that a man should rule others, who cannot rule himself.” an ancient Latin proverb. Chilling! I think I now have a fairly realistic, sober, informed and clear understanding of the leadership we the people need and more importantly deserve from those who wield political power in State Capitols across our country and at First Street SE, and 1600 Pennsylvania Avenue in Washington, DC. 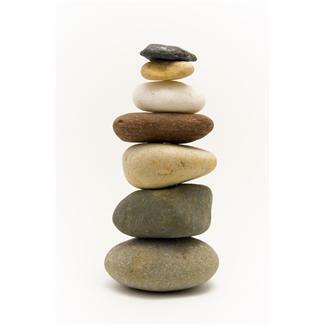 Of course the parallel resounding understanding is that those currently in elected roles, and based on unmistakable exhibited performance to-date, exhibit or deploy very few or none of the attributes prescribed as essential components for leadership. So, therefore, it is safe and logical to presume that there is no hope whatsoever that racial hatred and intolerance, and several other odious social maladies and behaviors will diminish or be systematically eradicated! Let us start looking for an answer with this erudite suggestion … “Change will not come if we wait for some other person, or if we wait for some other time. We are the ones we’ve been waiting for. We are the change that we seek.” Barack Obama (US President). Further supportive wisdom will be found in “Never doubt that a small group of thoughtful, concerned citizens can change the world. Indeed it is the only thing that ever has.” Margaret Mead (An American cultural anthropologist). On Tuesday, the 6th of November, 2018, starting around 07:00 AM in your local time zone you can do something practical to support the quest for leadership. Do not squander this opportunity to go and vote for someone with the intellectual capability, integrity and humanity to be the leader in your constituency and in Washington DC. We the people need this now! This entry was posted in behaviours and memories, current culture, political opinion, anti-bigotry, leadership, intelligence and intellect, equality, anti-bullying, effective leadership, caring, empathy, voting, Political opinion, common sense, anti-bigotry, civilized behaviours, on November 3, 2018 by David Wesley Tonkin. May truth always ring out clearly! In traditional naval lore it is said that the ship’s bell symbolizes the “soul” of a ship. I envision, by a similar logical progression, that it is safe to say that truth is the “heart” of a historical narrative. I am going to use the symbolism of the former to illustrate and debate the latter. If details, facts or circumstances are purposefully omitted, denied, misrepresented or glossed over then, undisputedly, truth; and our society become the first victims. During the First World War, on the 21st of February, 1917, a ship sank near St. Catherine’s Point off the Isle of Wight, killing 616 South African passengers. The sinking of the Royal Mail Ship (R M S) Mendi is one of the worst maritime disasters in United Kingdom waters of the 20th century. Yet very few people in South Africa, the United Kingdom or anywhere else in the world have ever heard of it. Why were these 616 (and many more of their comrades) South African men … black South Africa men (of the 5th Battalion of the South African Native Labour Corps) … sailing from Cape Town at the southern tip of Africa to the Port of Le Havre in France? Like hundreds of thousands of His Majesty’s subjects from every country in the British Empire, they were travelling to become conscripted cannon-fodder to the maelstrom in France. They were desperately needed to replace the hordes of young men that successive irresponsible and fatuous British Generals had sent to certain death by clinging to reckless, heartless and antediluvian strategies and battlefield tactics. The tale of the R M S Mendi was only safeguarded by oral history; approximately 200 men survived the collision with another steamship, the S. S. Darro (which never stopped to help with the rescue). The survivors were able to recount their stories, ensuring that those who died would not become yet another historical absence, an unknown group of mainly black men at the bottom of the English Channel. The survivors all described the actions and recalled the powerful words of a black Army Chaplain, the Reverend Isaac Dyobha who called the men together as the R M S Mendi started to sink; what he said is the stuff of legends. The men took off their boots, stamped their feet and raised imaginary spears and shields to the skies and performed an African dance of death. The then Prime Minister Louis Botha brought the tragedy to the attention of the South African Parliament; however, the impact to the country was ephemeral as Botha played a significant role in creating majority political disenfranchisement and vindictive minority rule in 20th-century South Africa. Persistent discrimination and blatant suppression of the truth ensured that the appalling R M S Mendi tragedy was never afforded rightful recognition by respective Governments in South Africa and the United Kingdom. South African officials during these years demonstrated their unwillingness to highlight black people’s wartime contributions by refusing medals and reasonable post-war recompense to ‘non-combatant men’ or their families, deemed less valuable due to racial prejudice. Fortunately this callous censorship of Black South African’s contribution to World War I (and all other subsequent military campaigns) has ceased. After Nelson Rolihlahla Mandela became the President of South Africa on the 10th of May, 1994, Mendi memorials now exist in Port Elizabeth (New Brighton), Cape Town (University of Cape Town at Mowbray) and Johannesburg (Atteridgeville in Soweto). Memorial services are now held countrywide and form part of the South African National Defense Force’s Armed Forces Day (Mendi Day). Awards and decorations for Bravery in the name of the R M S Mendi have finally been issued. The South African Navy has named two ships in honor of the men who perished … the (South African Ship) SAS Mendi (a Valour class Frigate) and the SAS Isaac Dyobha (a Warrior class Strike-craft). A dedicated exhibit has now also been opened at the South African War Memorial and Museum at Delville Wood, east of the village of Longueval, in the Department of the Somme in France. A full military wreath laying ceremony was held on the 23rd of August 2004, when the SAS Mendi and the Royal Navy destroyer HMS Nottingham, met at St. Catherine’s Point off the Isle of Wight where the R M S Mendi sank. Another formal wreath ceremony was held on the 24th of February 2017 in the same location; the two ships this time were the SAS Mendi’s sister-ship the SAS Amatola and the Royal Navy’s destroyer HMS Dragon. The SAS Amatola and the HMS Dragon wreath laying ceremony in 2017. On Tuesday, August 28th, 2018 the ships bell of the R M S Mendi was presented to President Cyril Ramaphosa of South Africa at a ceremony in Cape Town by the British Prime Minister Theresa Mary May. So many people have, since 1994, influenced and fostered the commemoration and veneration so richly deserved and so long overdue to the 616 men of the South African Native Labour Corps’ 5th Battalion who perished on that foggy night of the 21st of February, 1917 off the Isle of Wight; people who believe that the truth needed to be told. Sadly, we have not learned very much from epic disasters like that of the R M S Mendi. I end this with two quotations from the book “Cry, the Beloved Country” by an illustrious South African, Alan Stewart Paton (11 January 1903 – 12 April 1988) … author and anti-apartheid activist. How heartrendingly pertinent they are today. The image of the R M S Mendi: This work is in the public domain in its country of origin and other countries and areas where the copyright term is the author’s life plus 80 years or less. The photograph of Theresa May returning the R M S Mendi bell is courtesy of the NewAfrican magazine and on-line magazine. The close-up photograph of the R M S Mendi bell is courtesy of the British Broadcasting Corporation (BBC) News Services. Permission is granted to copy, distribute and/or modify the photograph of the SAS Mendi under the terms of the GNU Free Documentation License, Version 1.2 or any later version published by the Free Software Foundation. The two images of the wreath ceremony are courtesy of the South African Navy official website. The image of King George V is from “The Union of South Africa and the Great War 1914-1915”. Official history, Pretoria 1924: Courtesy of the Government Printing and Stationary Office. This entry was posted in behaviours and memories, current culture, World War One, Truth, History, South Africa, United Kingdom, on September 6, 2018 by David Wesley Tonkin. Facebook is an exemplary media-based learning tool! The lessons you learn about your “Friends” … and their “Friends” is a vivid eye-opener … almost every day. And … what portrait do you paint of yourself!? May I for a moment be both totally naïve and an unabashed dreamer; would it not be delightful to strive for a more “polite society”? You know; the one Norman Rockwell’s superb visual storytelling caused us to think; or hope we had in the 1950’s. I do not know where this moment of introspect came from; however it is fun to dream … peace and love to and for all! I like to believe that is how I selected my FB Friends … people who are dear friends and others who embody the attributes of the “polite society”; and are contributors to something worthwhile. People of whom it cannot be said that if you are in a room alone with them; you are alone in the room! Have I been successful? Yes; in the main I think I have been resoundingly successful. My Facebook friends are a thinking, contradictory, lively, interesting and often heart-warming group! I have not had to “Unfriend” more than a few people who have in due course exhibited a side of themselves that I did not … or did not want to know. The learning-curve is decisive and rapid! I love differences of opinion! I do not “Unfriend” for a divergence in opinions. I love to discuss and argue the nuances of a difference of opinion. Some epic bottles of Merlot, Burgundy and the sublime products of the Haut Medoc région have fueled some classic differences of opinion. I secretly admire the person who will go down in flames rather than accept defeat! I am fortunate to have a dear friend (originally a Pommy from Blighty! … An Englishman) who is a gold medal grade debater … we are as politically far apart as Jeanne d’Arc and Attila the Hun; yet fierce differences of opinion just seem to strengthen the friendship! Good on you my china-plate! Between the 1940’s and 1970’s Walt Kelly authored and illustrated a brilliant and eternally thought provoking social commentary cartoon series named after its delightful leading character, a witty and acerbic Possum called Pogo who lived in the Okefenokee Swamp (a huge and richly diverse wildlife refuge and wetland on the Florida and Georgia border). In one of the cartoons, if I remember correctly, Pogo is initially staring into a mirror; then he turns towards the reader and says … with a look of unadulterated astonishment on his face … “I have met the enemy and he is us!” This is the type of person for whom I hit “Unfriend” with alacrity. Who is this enemy!? They are people whose words are just conduits to logic-free hatred, malice, hurt and insult. They either cannot express or support something logically or do not have the intelligence to disagree rationally … they just copy and re-spew unadulterated nastiness and vindictiveness. One of these I rapidly Unfriended was always, from earlier days, an apparently genteel and allegedly thinking individual … this was a real and resounding shocker! This person did not disagree with you; if you had a different opinion you were for feeding into a wood-chipper! I presume that it comes as no surprise when I say that most of the nastiness and vindictiveness I encounter revolves around two topic categories …  Politics and  Social / Ethnic Bigotry. It astonishes me to see the volume of sites that the lemming-like political radical or bigot can harvest their maliciousness from and then “Share”. Then there are the “gloom-and-doom” merchants … they are the people who have the uncanny ability to scan the Internet and on an almost daily basis “Share” really horrific news, opinions and surveys about health issues, blood-thirsty crime stories, political and religious woes, grievances about the youth of today and just life in general. I had one of these on my “Friend” list for a while. I let her stay as I was initially intrigued how a person could find and see fit to disseminate this type of horrendous litany of gloom-and-doom every day! When I noticed that it was starting to negatively affect me I hit the “Tora-Tora-Tora” button! One particular inspiring and heart-warming bright spot are the “Friends” who are so dedicated to, active in and passionate about a cause that benefits our society. My favorite are the remarkable people who work so hard every single day in the championing of animal rights, pet adoption, and effective and just animal cruelty legislation. They make that early morning coffee and Facebook scan moment an enriching experience. To all those amazing women who post the most incredible epicurean recipes for everything from mouth-watering South African braaivleis [barbeque] marinades, French haut cuisine, exotic breads to sublime comfort foods … my gratitude! However … I cannot cook as well as you; so please just make the dish … I will pick it up! I actually am incredibly fortunate to have a “Saint” of a neighbor who, bless her perfect generous heart, does this on a regular basis. It is the world’s most superior gift of kindness … and food! I have found that Facebook has been a valuable and very quick way to find past friends lost over time and renew the connection despite us being scattered all over the globe. It is so fascinating to see how people’s lives have evolved and where their careers, families, passions and energies have taken them. It is also wonderful to see those who remain “rock-solid” good people over the years and then there are the surprises … the people who have evolved a role and purpose for their lives that is astonishing! One of these people is a woman I worked for back in the big corporation days. I greatly admired her really inspiring and genuine leadership (leadership, as opposed to HR- endorsed manage-by-numbers, is a rare commodity in large corporations) at that time … it is heart-warming and astonishing to see via FB posts how she has perfectly blended an ever-escalating career with a generous, balanced and caring family life. We all need to remember that FB is our 21st century “mirror-image” or Oscar Wilde’s Dorian Gray resume! It is us; a lot more “loosely” portrayed than our businesslike Linkedin profile. We need to remember too … “I have met the enemy and he is us!” … Think about the portrait you paint! I am going to! This entry was posted in Uncategorized on November 13, 2015 by David Wesley Tonkin. This time I wanted to find a picture that told a whole and bold story; a picture that did not just generate a memory … it must initiate a cascade … a tumult of lovely memories of my Elizabeth! Pictures of Elizabeth with our two astonishing children Sean and Koren; pictures that spanned a lifetime of proud memories … pictures that shimmer in an affectionate luminosity that radiated from her caring, loving and understanding motherhood. Then the ultimately joyous addition … Elizabeth with her grandson Woods Oliver Tonkin! Elizabeth and friends … joyous celebrations and illustrations of the large and singular circle of her friends. Friends of all ages, many nationalities, diverse interests and unique backgrounds. Loyal friendships that blossomed in elementary school in several cases. April in Paris … a lovely sprite of a girl smiling and laughing with the backdrop of an exquisite springtime set among the attractions of this enchanted city. One unforgettable picture of a tearful yet resolute Elizabeth placing a bouquet of white roses at the foot of the WWI memorial to the South African Brigade soldiers who fought so heroically and died at Delville Wood near Longueval, in the Somme area of France. She cared so deeply, and would talk for many hours about the lessons of history. Happy, fist-pumping pictures during the festivals of Sean and Koren’s High School, Bachelor and Masters Graduation celebrations! Elizabeth was always totally exhilarated by these occasions! The serene; yet chilling picture of Elizabeth standing alone in Nelson Mandela’s tiny solitary-confinement cell on Robben Island. She was a Mandela supporter long before it became “fashionable” around the world. Hundreds of pictures that warmly and vividly illustrated the family and friends centric Thanksgiving (her favorite holiday; she said that Hallmark had not killed it yet! ), Christmas, Easter, Welcome to the USA (for overseas friends), Birthday and other celebrations that Elizabeth made memorable. Her home decorations, dining table artistry and culinary feasts were epic! 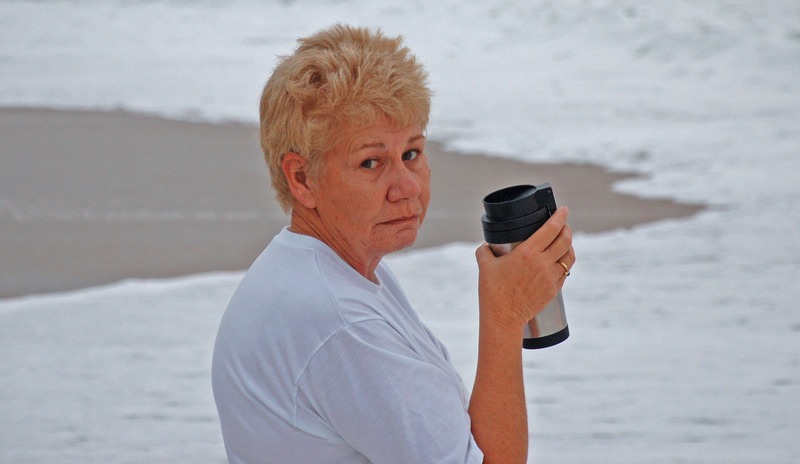 A picture of Elizabeth with wind-blown hair and a cup of coffee on the ocean-side deck of a house on Pine Island on the Outer Banks Islands in 2011. At first she was a tad annoyed that I took the picture; she had just woken, quickly made her Starbucks coffee and walked out onto the porch. It was the last day of our vacation and Elizabeth was about to embrace her very private and spiritual “farewell to the ocean”. I chose the final one on the list. It is my personal Mona Lisa. A beautiful lady with an expression that radiates volumes of thought and emotion. The very simplicity and serenity of the image is so powerful a presence on my mind. Those huge almond eyes, like iridescent yet tranquil pools in a shady glade, say so much! I wonder … is she about to smile lovingly at me or is she a little sad as we will soon head back for the mainland and the real world? The expression is also one of compassion and love; things that so many of us were privileged to be blessed with … Elizabeth caring for us! I see and read so much from this picture. I went looking for a picture … and I found a breathtaking collage of exquisite memories! This entry was posted in Uncategorized on September 11, 2015 by David Wesley Tonkin. Have you ever spent a quiet moment wondering what happened to people you remember either blissfully positively or vehemently negatively? What are they doing now? Were they rewarded for their good deeds? Did they get their “comeuppance” for evil deeds eventually? Did you ever find out!? This type of conversation is “A Grade” topic fare at any gathering! Here are a few of my “what ever happened to … “tales. I am going to give the people with a leading role a different name; for sometimes obvious reasons. I hope it inspires you to do your own “research”! There was Nico … the epitome of the worst kind of low intellect bully. He basically had the social finesse and communication skills of a flat rock. He was feared by everyone in our high school (circa 1968). He was not feared for his strength and boxing prowess. I believe that any of six or seven of the more athletic fellows in the school would have given him a decent match behind the bicycle sheds. He dexterously avoided one-on-one fair fights; he specialized in “hit-and-run” attacks. His victims were usually smaller and smarter boys (lots of those!) or one of the countless brainy and alert girls (100% of the female students!) who unwaveringly rebuffed his monosyllabic Neanderthal style advances. Well; not really! We all read, several years later, about his unprovoked attack on a downtown bar’s security guard. The guard vigorously defended himself with an imposing “knobkerrie” … a short, weighty wooden club with a knob on one end. A judge subsequently ensured that Nico’s reign of terror was removed from civilized society for a very long time; commencing once he emerged from a prolonged hospital sojourn. Then there was what my late wife and I always re-called in conversations over the years as the “Chloe Jones Lost Opportunity Story”. In the aforementioned high school there was Chloe … she was tall, skinny (painfully so! ), colorfully freckled, awkward, quiet and with flame-auburn hair worn in dreadful pigtails. Chloe wrote me several charming (passed across in the classroom) notes inviting me to meet her in lovely Joubert Park for a walk or to have a burger and coke at the local Hamburger Hut. My absolute blend of an unjustifiably inflated male ego and a healthy dose of teenage boy idiocy ensured that I rebuffed her every time. Many years later my wife “convinces” me (and I readily agree) that our invitation to an elegant Christmas season soiree at The Wanderers Club necessitates having to raid the piggy bank to get her an evening gown that (in my words!) pays tribute to her gorgeously preggy shape. We head for a highly recommended and in-vogue boutique in Sandton’s “mink and manure” belt (lots of polo ponies and fur-clad ladies). I am left awkwardly sitting in an ornate gilt and brocade chair while maternity dress selection happens, with lots of giggling and some blatantly raucous screams of laughter, in the back of the La Belle Epoch decorated store. After some considerable time a tall, elegant, stunningly and head-turning beautiful auburn haired vision emerges from the dressing rooms and invites me to see the final evening dress selection. After offering my awestruck endorsement and skillfully hiding my shock at the price-tag my wife introduced me to the owner; yes … you guessed it! I again met Chloe Jones. Later, I had the unequivocal fear that our child would be delivered in the mall’s carpark in the hot sunshine … as my wife was still laughing so hard! Then there was Teddy; everybody loved Teddy, he was far-and-away the most popular boy in our high school. He was popular because he was a totally and sincerely kind, caring and gentle person. Teddy was not an “A” student (although fairly good at math), he was not a sportsman, never a great conversationalist or a suave social lion. Once we graduated Teddy went through a string of dissimilar very short-lived career attempts; from banking houses to gold mining companies. In the bar of the Zoo Lake Cricket Club one Saturday night Teddy announces that he is off to the UK to seek his fame and fortune. We organize a suitably boozy bon voyage party and off he goes. We hear nothing more from or about him; although now and then someone says “I wonder how Teddy is doing?” Someone remarks one day that they heard he had joined the Merchant Navy. There was then a round of bad jokes about Teddy’s skills in cleaning bilges and holy-stoning the decks. The years pass and I am now living in Bloomfield Hills MI… and one day I receive a photocopy of a newspaper article from a Durban (South Africa, Indian Ocean port city). At the top of the article was a picture of the arrival of a magnificent new Indian Ocean islands route cruise ship on its first visit to Port Natal. Other pictures showed the liner’s Captain and the ship’s Chief Purser; surrounded by gorgeous ladies in glittering eveningwear. Teddy had obviously found his career! Lucky fellow! On the reverse … think for a moment; what would people (from your past) say; or how would they react or think in learning about your current life status, location, career achievements and family circumstances? Not all of us became firemen, doctors, famous athletes or steam train drivers as we dreamed in our tender youth. This thought journey is decidedly multi-faceted and totally worth the effort. Another plus is that it has encouraged me to really try to find out what happened to those people from the past who left indelible or quirky bookmarks on my memory of days gone by. I think this exercise has the potential for much more instant gratification than expensively following a “leaf” on an ancestry website and being bitterly disappointed in eventually discovering that great-great-great-uncle Tobias O’Hooligan was not a fearsome buccaneer under a skull-and-crossbones flag on the Spanish Main as family folklore gleefully alleged… he was a good family man and respectable long-service clerk in the employ of a merchant bank. Nice; but not terribly exciting! So, I guess, the cutlass passed on down the generations was not captured from a dashing Spanish Commodore off Hispaniola … it was probably bought as a bargain at the late Colonel Chuffingworth-Smythe’s estate sale in Lower-Piggslough in the UK! Drat! … Huge letdown; I could imagine myself on “Antiques Roadshow” with the thing! Note: The places named in this blog are all in or around the Johannesburg, Gauteng Province, South Africa area unless otherwise indicated. This entry was posted in Uncategorized on April 13, 2015 by David Wesley Tonkin. Remember what they told you about the perils of volunteering? volunteering can be abundantly rewarding! All you need to do is research, with an open mind, and then select a cause, place, event or activity you personally feel stalwartly passionate about. I know now that my due diligence was really worth it. The rewards will go far beyond your expectations. I started on (jumped right into!) the “usual suspects” … large national charity organizations. That did not last too long. I personally dislike being treated with cool indifference on the phone. Or worse; organizations who would not even return my multiple calls. I am trying to volunteer and they treat me like a nuisance? Some of the volunteer websites were so difficult to navigate that I could not actually find contact information. My next (and much more erudite!) 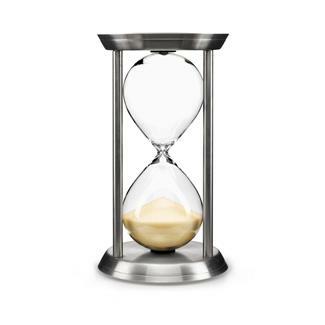 step was … after a few miss-starts; to really and dispassionately examine two major decision criteria … [a] what am I genuinely zealous about … and [b] where do I have knowledge or experience that is relevant, applicable and useful to others. The three resultant data points were  a love of military history (Aviation in WW1, WW2, Korea and Vietnam),  lifelong public speaking experience,  worldwide cross-cultural training delivery and (oh yes!) the resultant joy when people appreciate your message. Then I initiated my actual search; someplace that matched the self-assessment criteria and was fairly easy to get to … a blessing in the terrible winter we are now emerging from! In my case I found that The Wings of Freedom Aviation Museum (WOFAM) was looking for docents and tour guides … and they are only a few miles away in Horsham PA. The WOFAM volunteer process was warmly welcoming, quick, detailed, objective-driven and purposeful. After my thoughtfully mentored “apprenticeship” and training I started as a docent on the Saturday Crew. Each Saturday since has be a vivid affirmation that I made an excellent choice! The personal recompense has been colossal! I have been privileged on two counts; to work with such intelligent, captivating and exuberant fellow team mates is an honor … and to welcome to the museum a totally prodigious spectrum of interesting and in some cases very unique people. People that have abundantly brought me deep reflection, respect, humility, amazement and their riveting and spellbinding personal stories. They range in age from a WWII Pacific theater carrier-based naval aviator, a General who served during both the Korea and Vietnam eras to a pleasant and articulate 12-year old doing research on the Fokker E.III Eindecker fighter and scout aircraft from WW1 for an advanced history paper! Oh, bye-the-bye I also met Sergeant Leatherneck … a Bulldog that is a Marine Corps mascot! One thing you soon learn is that you have to rid yourself of stereotypes. Not all of today’s 5 to 10 year olds that come to the museum with parents or Scouting leaders are brats! In fact the majority are quiet, respectful and often ask searching questions; frequently from totally different (and fresh) perspectives then you are used to. You also shed gender stereotypes … several of the most reflective and earnest visitors are girls who have an interest in a military aviation career. World geography and political boundaries also fall by the wayside. Recently we welcomed a delightful young couple originally from Tallinn in the Republic of Estonia and now living in Paris (France); they were in the USA on work assignments and their honeymoon! They took masses of pictures (especially selfies!) … including a group portrait of themselves with the docent crew; who they said made their visit so memorable. My “tally” of visitor countries includes Canada, UK, France, Germany, The Netherlands, Japan, South Korea, India, South Africa and Brazil. These international visitors challenge you to tell the story of the aircraft and numerous unique artifacts on display so that they can relate to them from their unique perspectives; it brings a whole new essence of urgency to the term “thinking on your feet”! Interestingly; one of the most popular exhibits is a showcase filled with examples of survival rations and emergency equipment for the use of downed aircrews from the WW2, Korea and Vietnam periods. We now jokingly refer to it as the “gourmet military food display”. Another popular attention “grabber” is the series of exhibits that show the evolution of flying suits from WW1 to Desert Storm. The most talked about aircraft in the collection … The Warthog … The Fairchild Republic A-10 Thunderbolt II and the Bell H-13 Sioux helicopter … of M*A*S*H fame ! All of this is vivid illustration of the depth, scope, range and variety of personal experiences … new learning and sheer fun that come so naturally as your “gift” in return for volunteering! Get out there and find your passion! You might talk to someone who will work on Mars landing missions in the future … or paint with the passion of Vincent van Gogh … and maybe an individual who one day will write epics like Leon Uris or John Steinbeck! The two photographs in this blog were taken by the author at the 2011 Reading Air Show & WW2 Weekend. The opinions expressed in the blog are entirely those of the author alone. 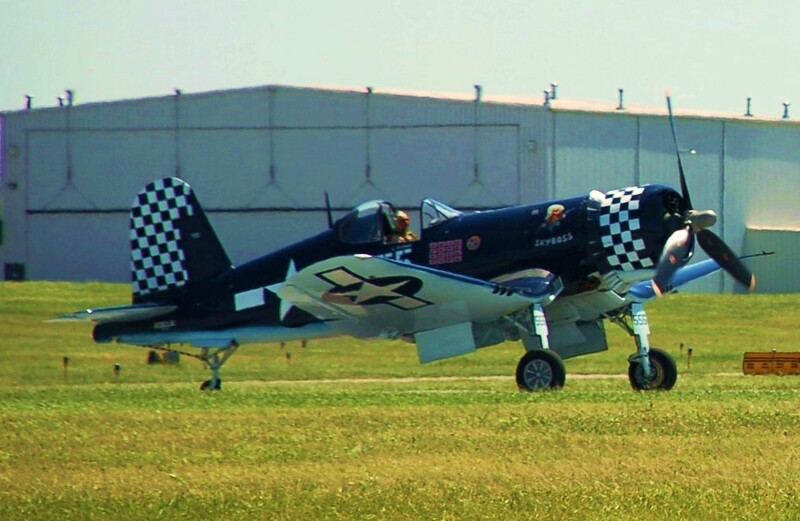 The Wings of Freedom Aviation Museum is a non-profit all volunteer organization. 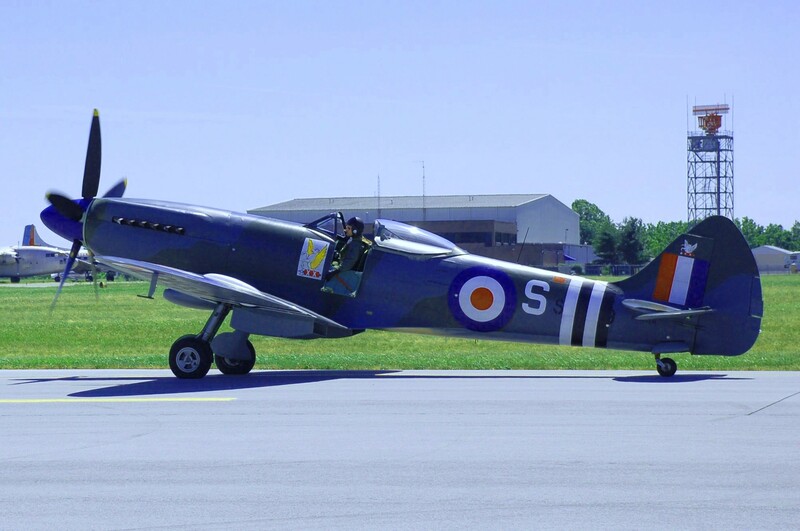 The Museum is dedicated to preserving the civil and military aviation history of the world and especially of the Greater Delaware Valley. The Museum is located along Route 611 (Easton Road) between Maple Avenue and County Line Road in Horsham, PA. This entry was posted in Uncategorized on March 18, 2015 by David Wesley Tonkin.